There’s something particularly alluring about Bali’s southeastern coast, with its rice paddies; corn plantations; and groves laden with coconut, banana and papaya. 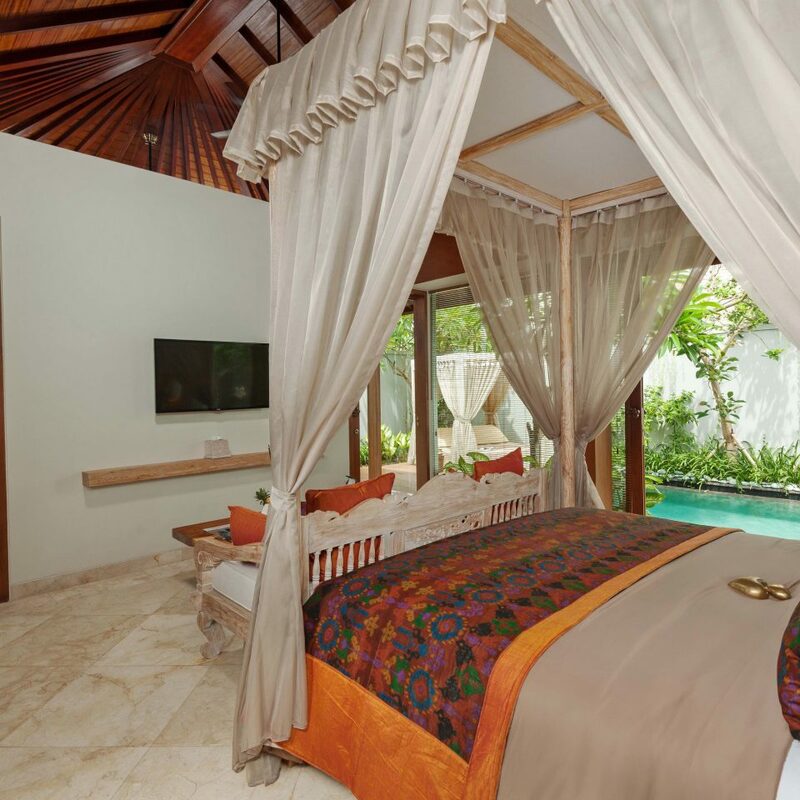 Located in Sukawati, opposite the intriguing jet-black Full Moon Beach, this hideaway comprises low-rise villas and suites that exist in harmony with the tropical landscape and are quite the alluring destinations themselves. 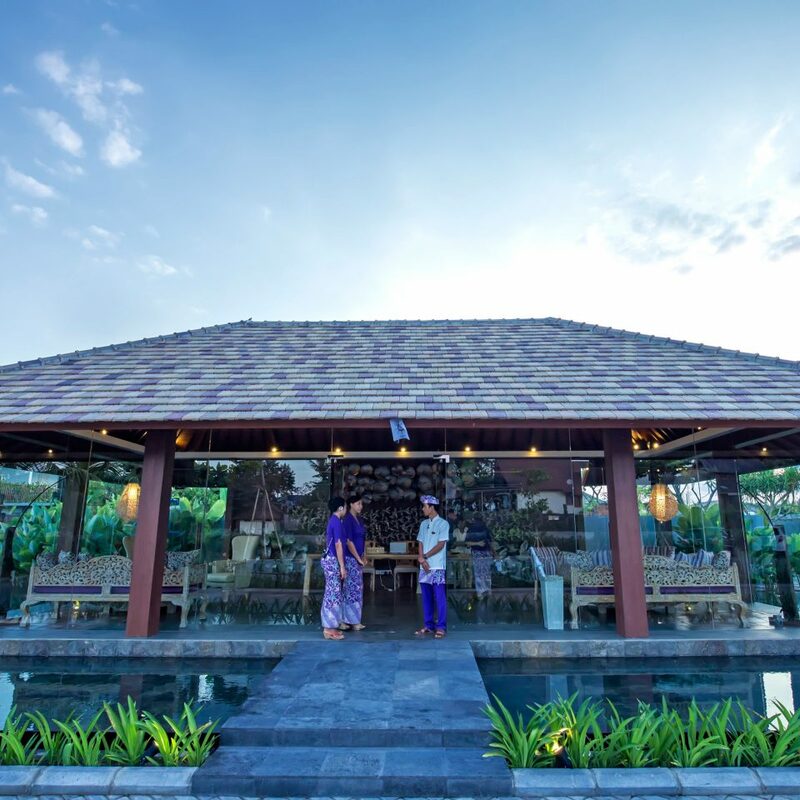 The Royal Purnama is dedicated to arts and local craftsmanship, with traditional Balinese architecture and the creations of area artists adorning every space (many of these works available for purchase in the boutique and gallery). There’s an indoor-outdoor concept to the suites, too, with semi open-air bathrooms and airy open-plan living. And of course, in addition to touches like handmade furniture, five-star details abound – expect designer amenities, tons of room and all the modern additions you’d expect from an upscale TripAdvisor Certificate of Excellence winner. 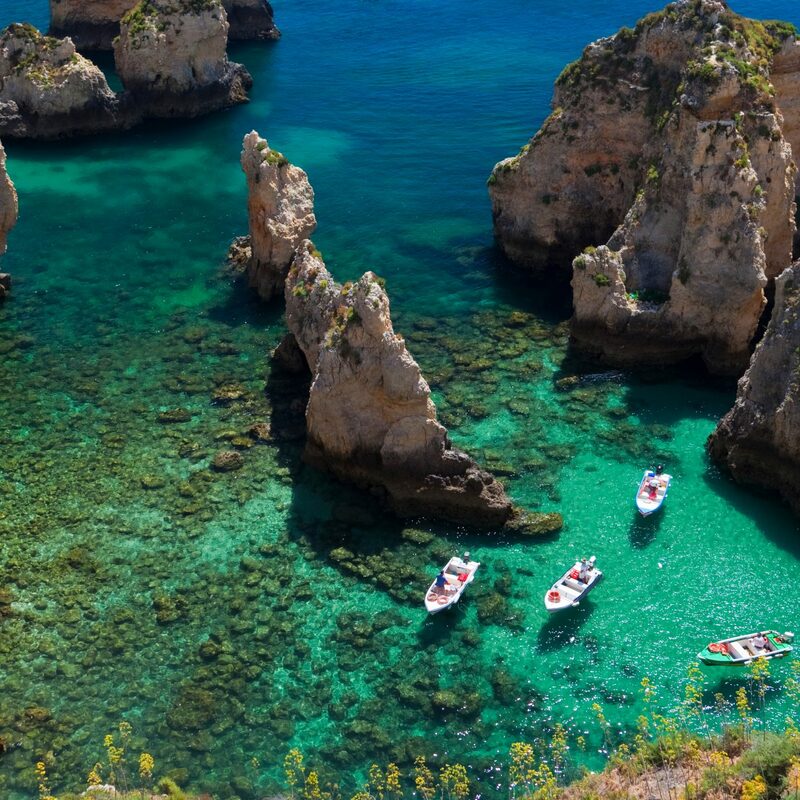 In fact, there’s little need to stray far from your private poolside oasis. 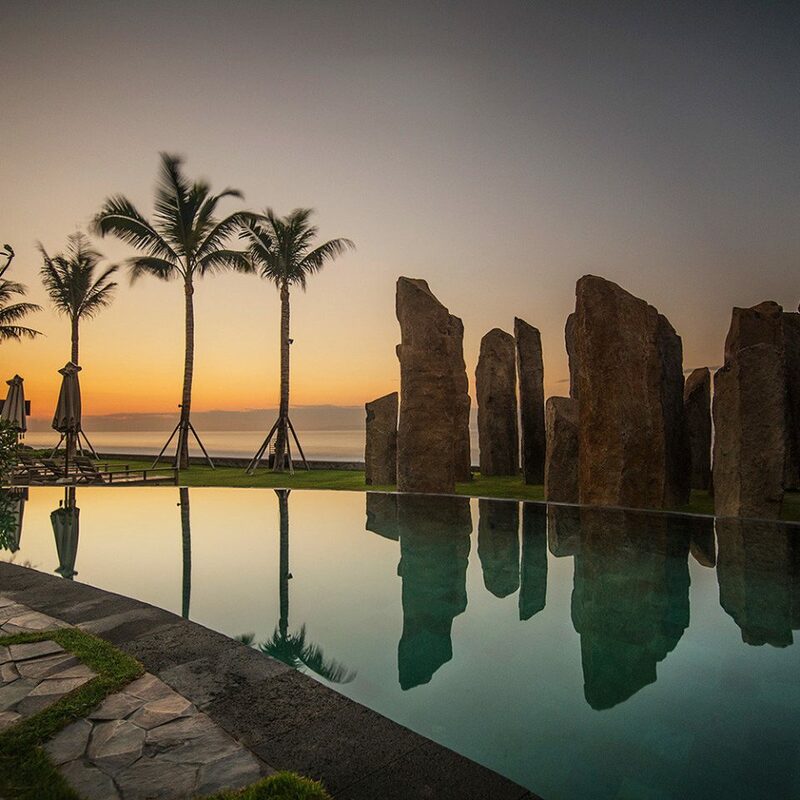 You’ll find sophisticated Indonesian cuisine at the breezy Standing Stones restaurant, a beach lounge serving an all-day menu by the free-form pool, plus a library where you can select music and movies to enjoy later on. Of course, no Bali break would be complete with a visit to a spa – at this stay, you can make the most of the natural, mineral-rich ingredients sourced from the coast, with a revivifying sea-salt and volcanic-sand scrub. There are 48 accommodations at this boutique retreat. 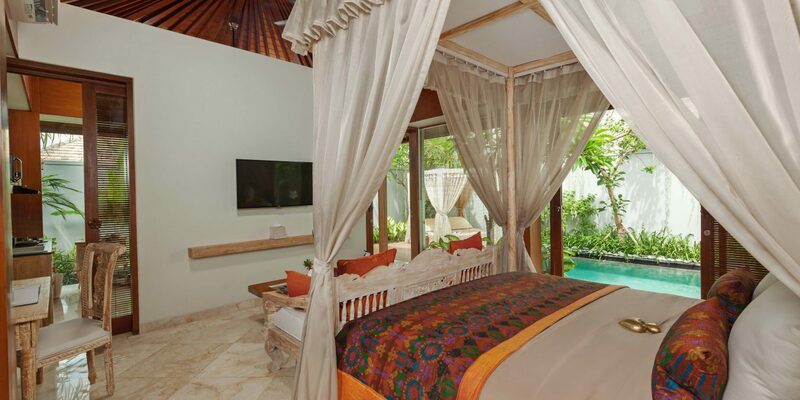 The Jepun One Bedroom Pool suite features a bedroom and living area with a separate kitchenette and dining space. 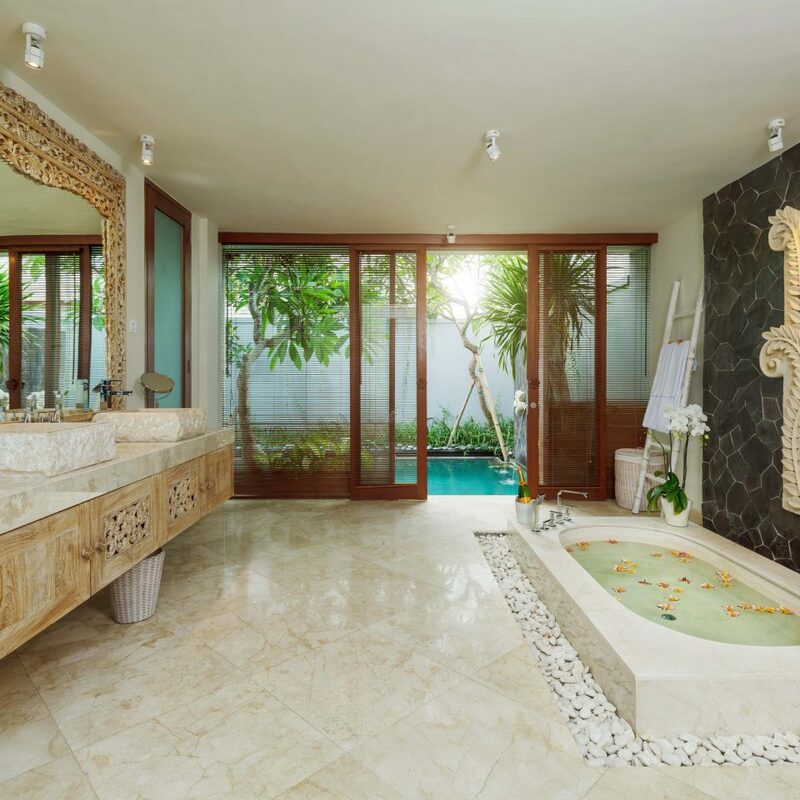 The exceptionally bright and large bathroom is semi open-air, with a double vanity station, an oversized granite bathtub, a tropical shower and lush plants that bring the outdoors in. 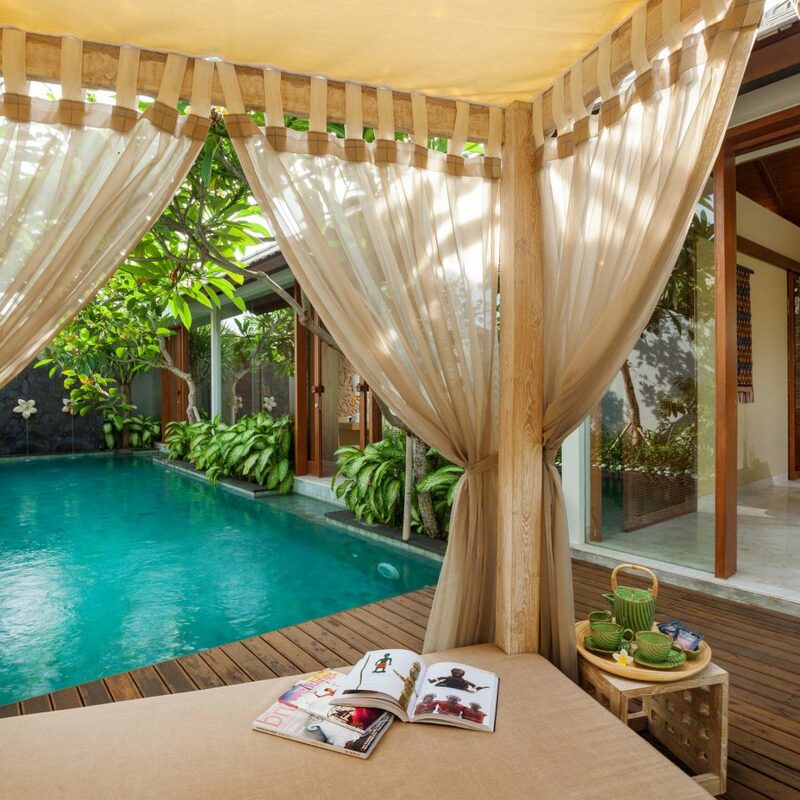 You’ll have your own daybed or loungers and a softly lit private pool. 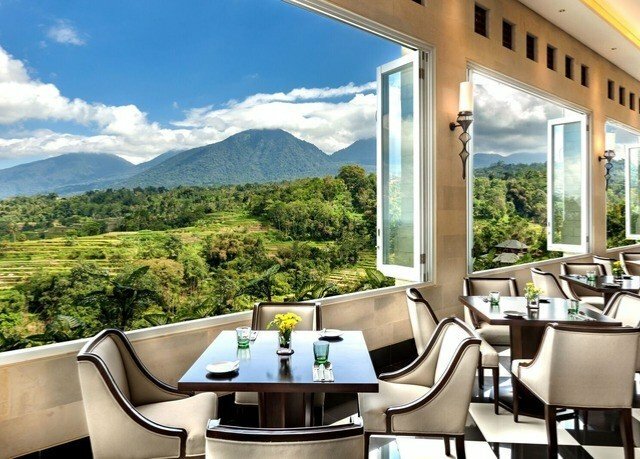 Standing Stones is a gourmet semi al-fresco restaurant that serves Indonesian and international dishes in a modern, Western presentation. It’s possible to take cooking classes here – a very enjoyable experience, what with the murmur of the sea in the background. 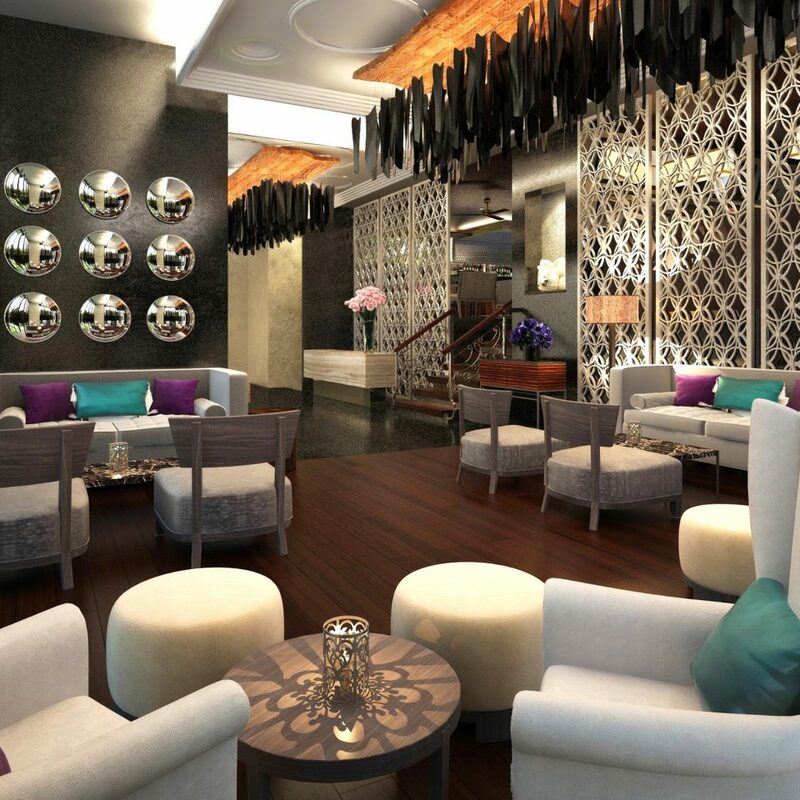 In addition, there’s the beach lounge, which is ideal for more casual plates and refreshments. The tranquil spa champions the restorative properties of natural local ingredients, including the famous volcanic black sands. There are two couples suites here, a single suite and an aroma steam room. If it’s a glimpse of rural Balinese life you’d like to see, this peaceful stretch on the isle’s southeastern coast is perfect. The volcanic black sands of Full Moon Beach are strikingly picturesque, and there’s a reef nearby, as well as great surfing conditions. 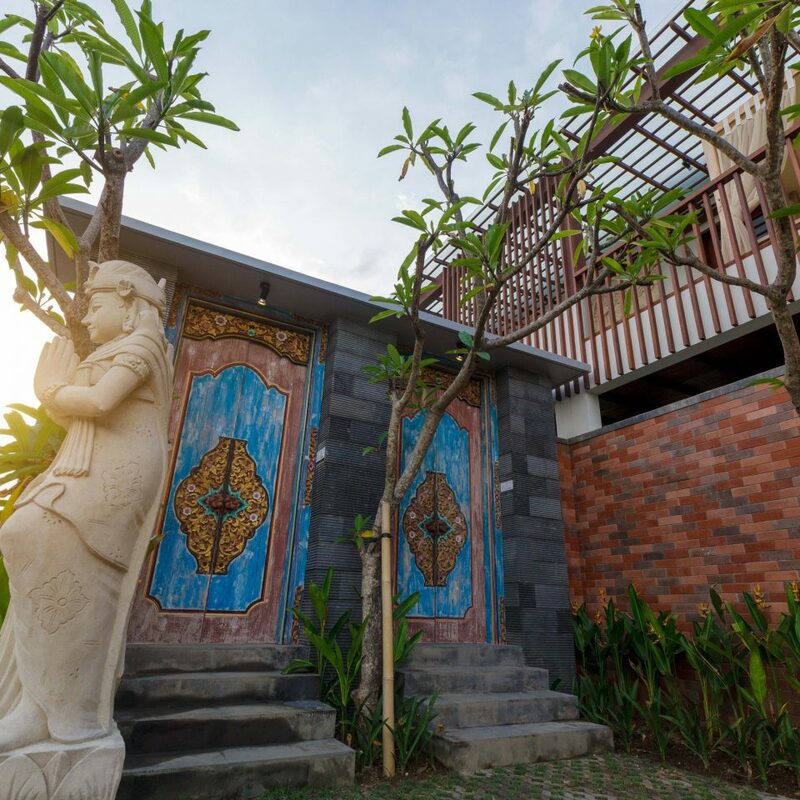 The staff can help organize local experiences centered around arts, culture and nature, and you’re only around 10 miles from Ubud. Purnama means full moon. 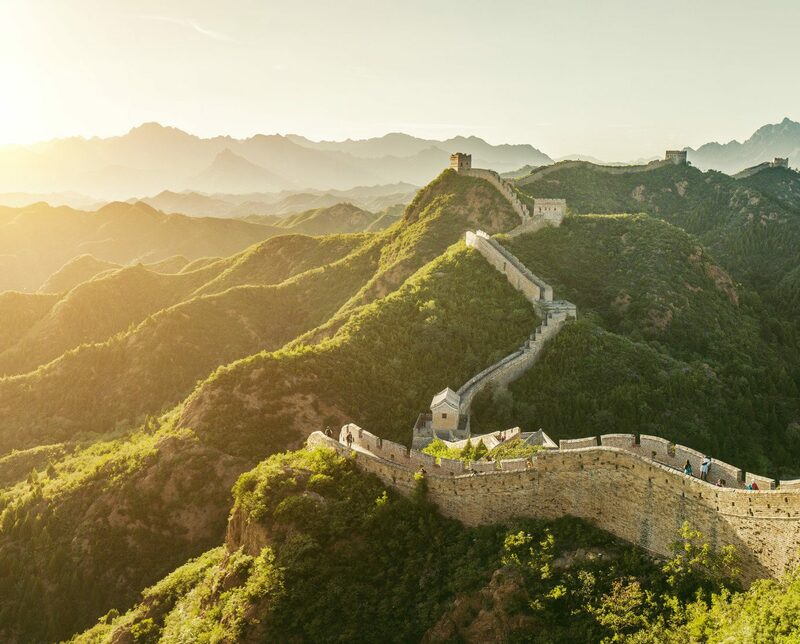 Sitting between the iconic Standing Stones at a table, decorated with thousands of rose petals and candlelight under the full moon, this royal hotel will make you wish that time stands still and you won`t have to leave. General Manager Wayan, F&B manager Alex, chef Jay and the entire staff made sure that we did enjoy every minute of our stay. 3 nights are definitely to little. Chef Jay, a jolly, lively, loving food enthusiast, visited our table before and after the meal and asked whether we had special wishes. So did all the others. Little did we know what would happen. Instead of dessert a delegation of the staff came with a birthday cake and sang for my husband. Already in a very good mood we went to our dream villa (Melati), 2 big bedrooms, the biggest bathrooms ever, a private pool and a big living room/kitchenette area. When we entered the dark room through the beautiful carved balinese door, the lights were switched on and another bunch of handsome balinese staff members started singing and presented a black forest cake. The whole table decorated with flower arrangements which you only would find in Bali. Later, bellies full of cake, we headed in direction to our bedroom - surpirse! - another flowery art piece and a little gift on the bed (thank God no more people singing under the bed!) My husband will never forget his 52nd birthday. 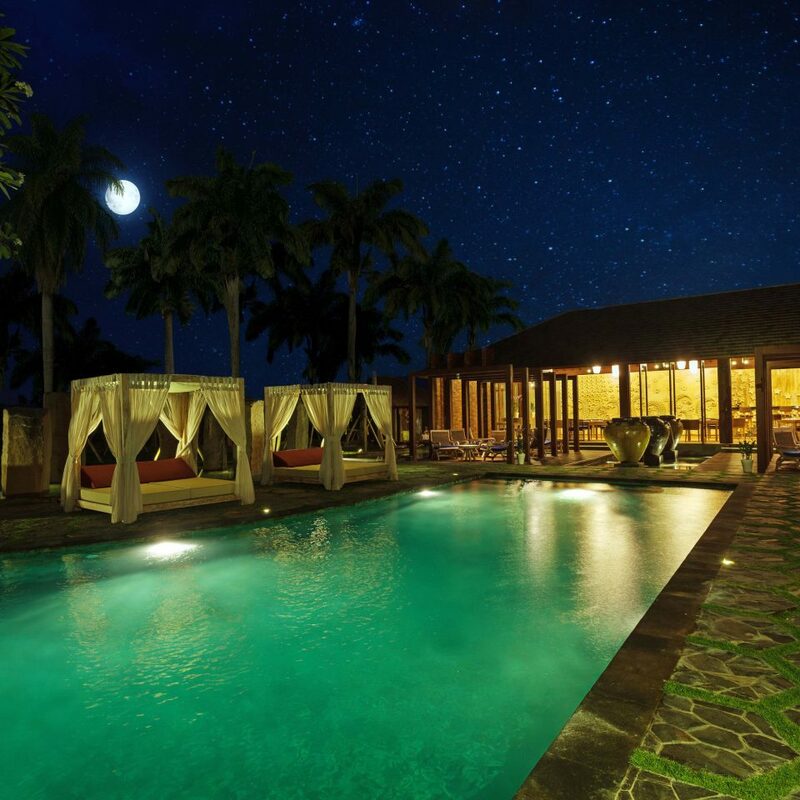 The Royal Purnama is designed for couples and special honey moon celebrations. But we - as a family of 4 with two teenagers (18,15) considered it as the perfect place for us as well. Every family member can easily pursue their own happiness: the daughter did horseriding at a beach nearby while the son exhausted himself on a surfboard. The husband enjoyed watching the roaring waves from one of the comfortable daybeds and the mother started the day at 7a.m. with Pantai, a down-to -earth yoga teacher and maybe magician. After one yoga session the rather hyper-active mother was able to calm down, let the sun shine through her belly button and somehow found inner peace, dreaming of the fantastic breakfast in Royal Purnama while enjoying the view of the black diamond-sparkling beach and the sounds of the waves. Oooooohhhhhhmmmmm! Royal Purnama we miss you already and we will come again. We visited at the end of March. It was absolutely beautiful to be in the countryside and right at the seaside. The free shuttle to Sanur and Ubud was very helpful and the resort is well placed to visit many of the interesting sites in Bali without congested traffic. The Villas were very well maintained and everything was in working order. Loved the eco friendly ultra lux bathroom. All our deal inclusions were honored and were of a high standard. The high tea was particularly delicious and so well presented. Wait staff also took great trouble to ensure that guests were well taken care of whether at the restaurant or sitting out in the garden. The whole ambience of the resort is outstanding and staff are always kind and go out of their way to assist guests. I highly recommend the Royal Purnama and we will definitely return. We were staying on a Luxury Escape package and we had a wonderful experience. 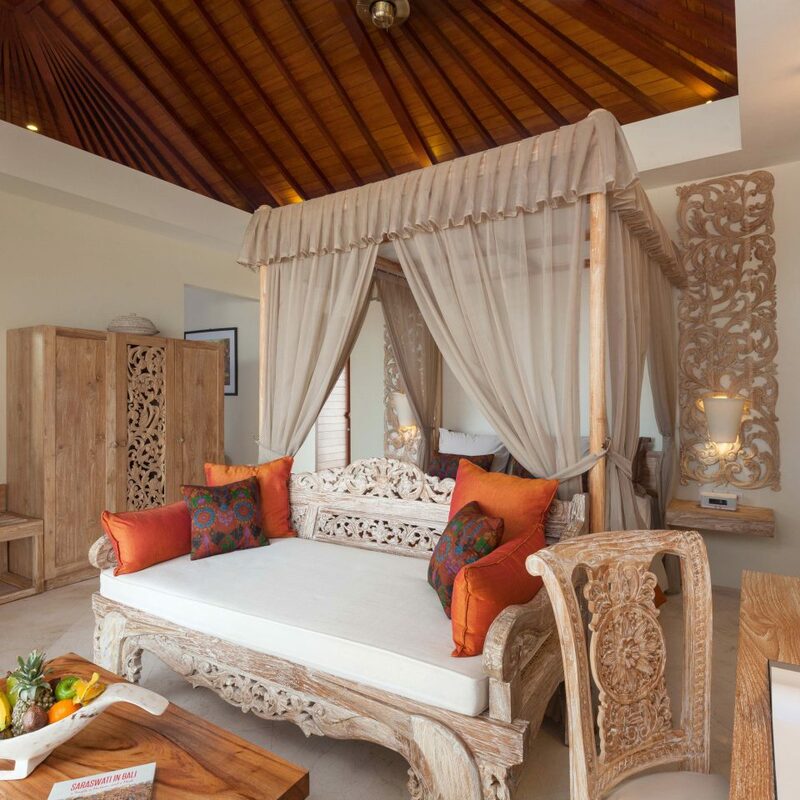 Our jacuzzi suite room was spacious and fitted with lovely Balinese touches. The ‘outdoor’ bathroom was huge and very impressive with rainfall shower and bathtub, and toiletries that smelled lovely. 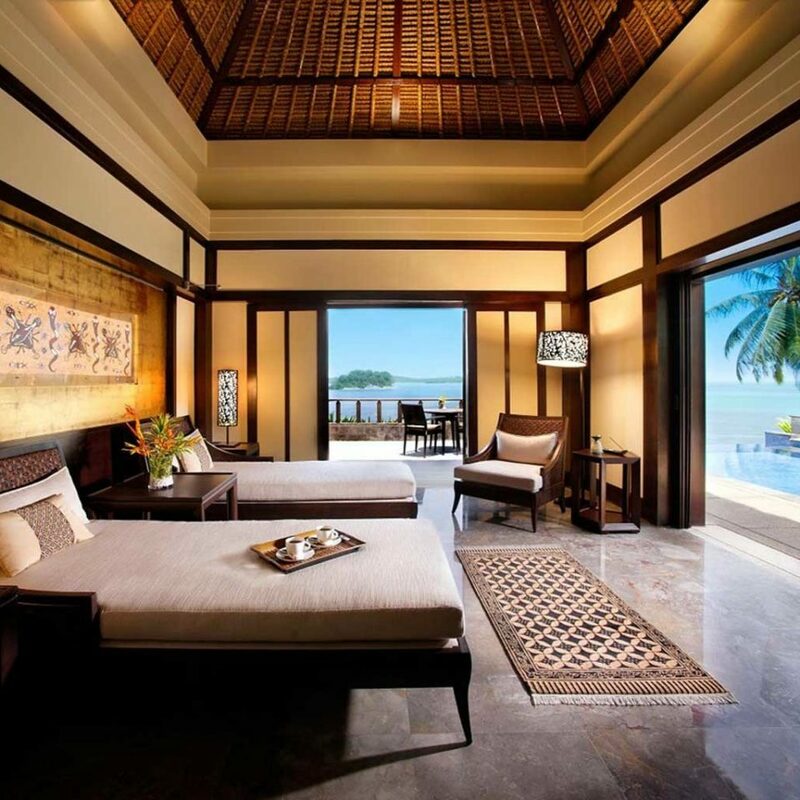 The pool and beachfront area however is the highlight of the property and definitely has the wow factor. It’s lovely sitting by the pool with the waves of the beach lapping in the background. We utilised some of the resorts features which were all very good, such as a 1hour cycling tour of the local area, and the free shuttle to Ubud. We also had a massage in the spa and this was really good. We went back for other treatments as they were very reasonably priced. Staff are very friendly and happy to assist. We found the food to be of very good quality and there was enough choice to pick from during our stay. The Happy Hour cocktails were also very good! The location is perfect. 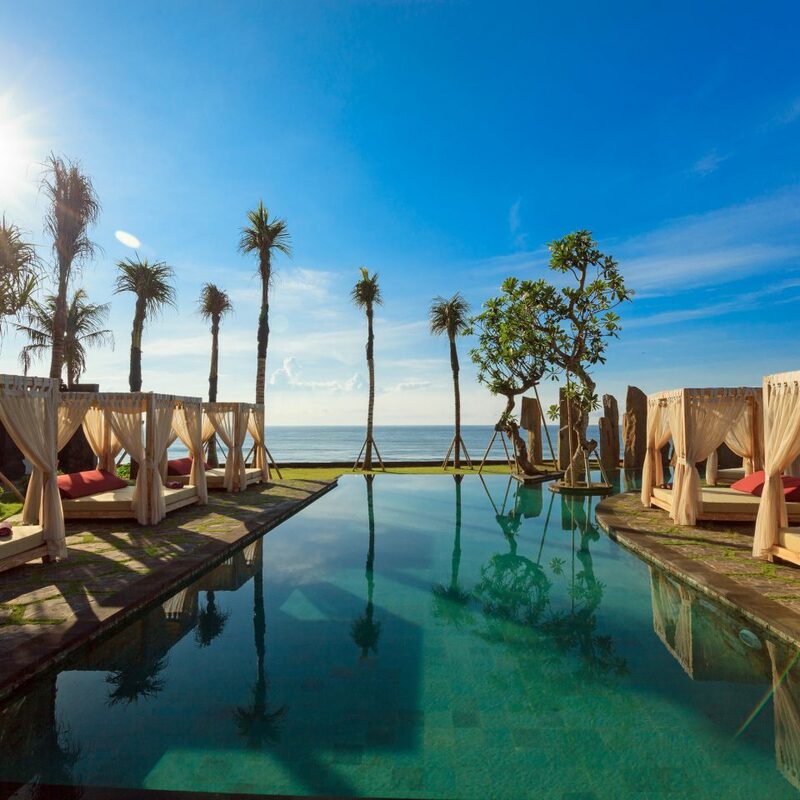 Despite the hotel is located at sea side but you are just couple of minutes away from Ubud, Sukawati and Sanur, the most popular destinations in the Island. Smiling & understanding staffs are ready to keep you happy. Housni, Bagus and Ike are the names I can remember. Shishe lovers might not be completely satisfied. 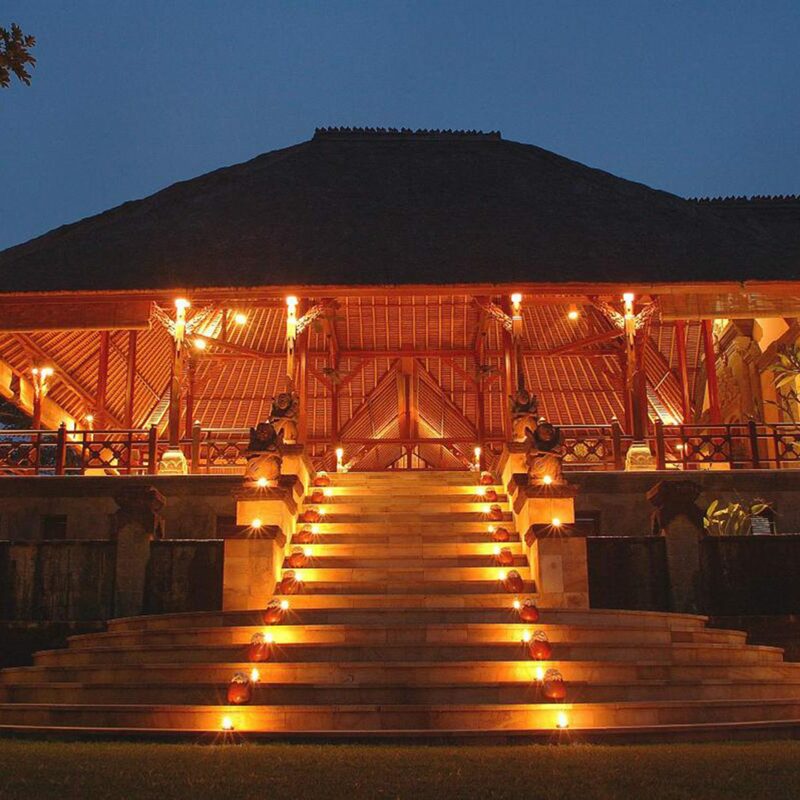 My husband and I booked a 3 Day Luxury Escape to the Royal Purnama and - WOW! - what an amazing experience. 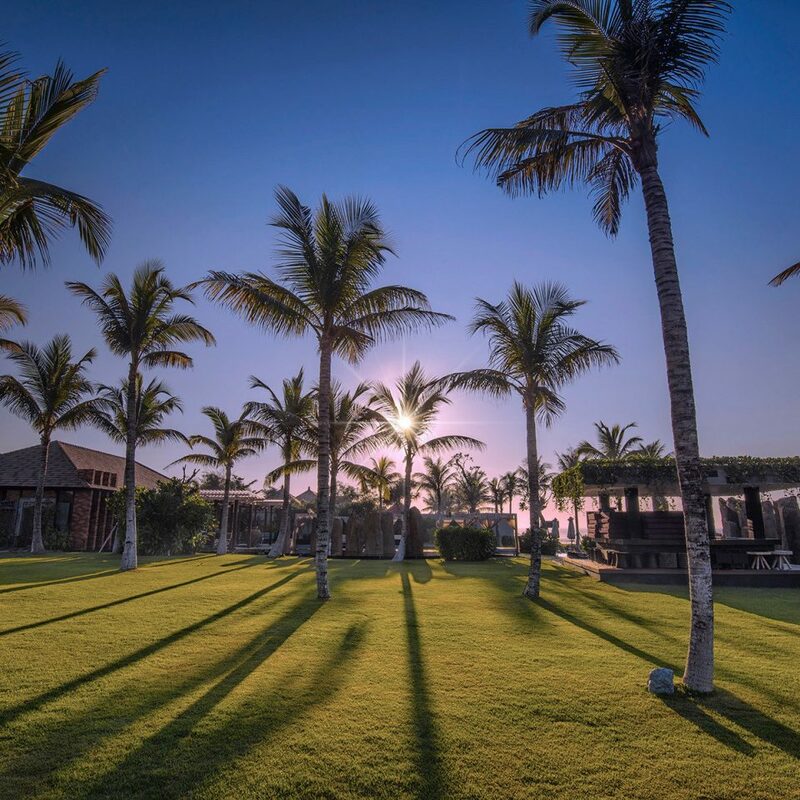 The resort is pure luxury, from the moment you arrive and are greeted by the warm and friendly staff you don't want to leave. 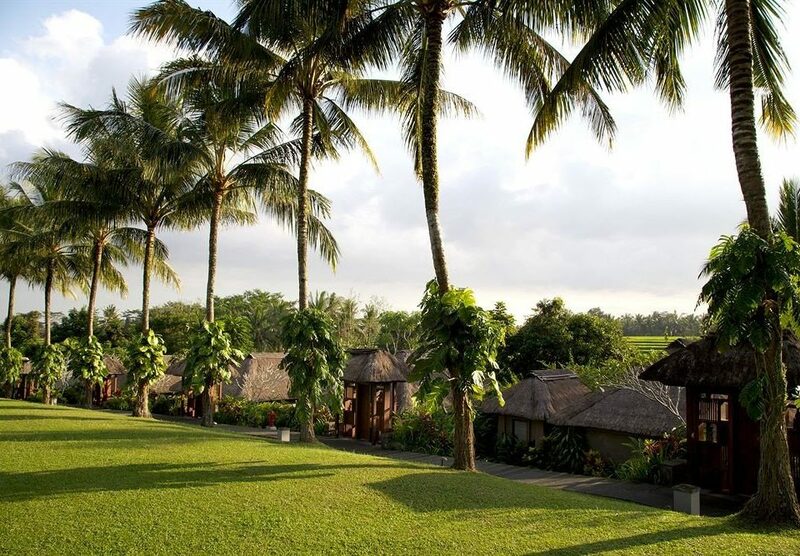 Nestled amongst rice fields directly on a gorgeous black sand beach the rooms are luxurious, well appointed and heaven away from home. 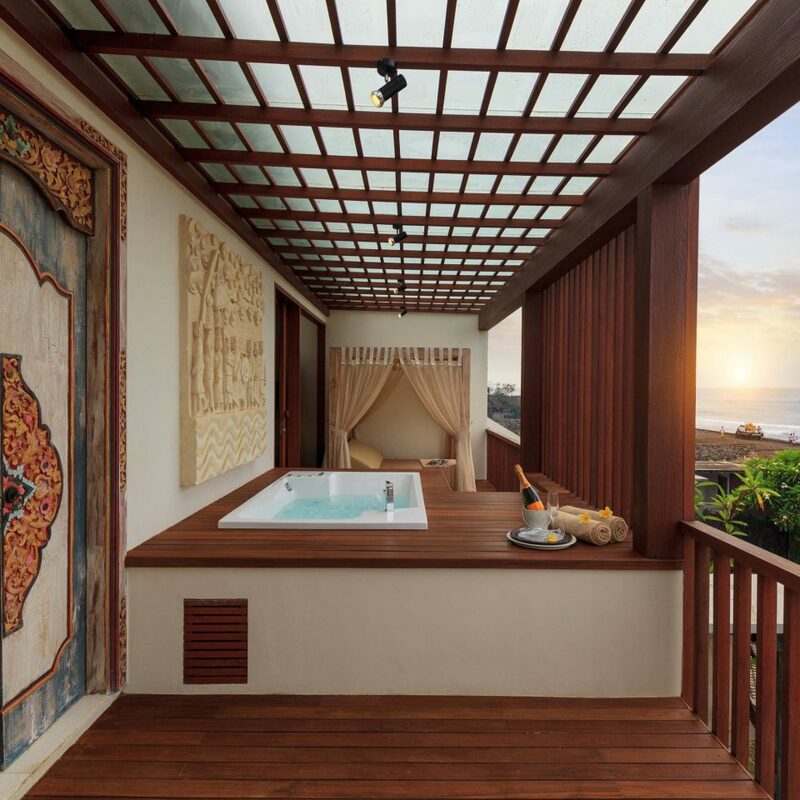 We had an ocean view jacuzzi suite which had a gorgeous view right across to Nusa Lembongan Island and an amazing, huge outdoor bathroom. The pool and restaurant area is peaceful, serene and a wonderful spot for lounging on day beds for the perfect relaxing holiday. The food was amazing from the all you can eat A La Carte breakfast with fresh juices, perfect coffee and a great selection of delicious dishes to the 5 star quality dinners served each evening overlooking the beach. We were even treated with a romantic seafood dinner for two one night which was sensational. We looked forward to afternoon tea each afternoon on a swing overlooking the beach where the locals enjoyed the early evening frolicking in the ocean. The black sand spa was a real treat. My husband and I enjoyed pedicures, massages and body scrubs which were all reasonably priced. The staff were professional and friendly and the treatments top class. This experience was the perfect way to start our holiday. We lead quite busy lives and this three days was just what we needed to relax into the rest of our holiday. We will definitely be back to this wonderful resort. Thank you to everyone at the Royal Purnama!